It’s that time of year again when us Irish have no idea how to dress. It’s 20 degrees outside yet lashing rain, I always struggle to dress without either being too hot or too cold this time of year. That’s why I decided to piece together a look that I like to consider ‘transitional’ as we head into Autumn/Winter. One of the easiest ways to piece together a look that’ll transition your wardrobe from summer to autumn is layering. With this look I felt the top was very summery because of the linen fabric, so throwing a lace cami underneath is such an easy way to bring it into Autumn. The trousers are so versatile because of their neutral colour – ideal for winter or summer. Keeping a neutral colour palette is one of the best ways to ease your style into the darker more warmer tones of winter. 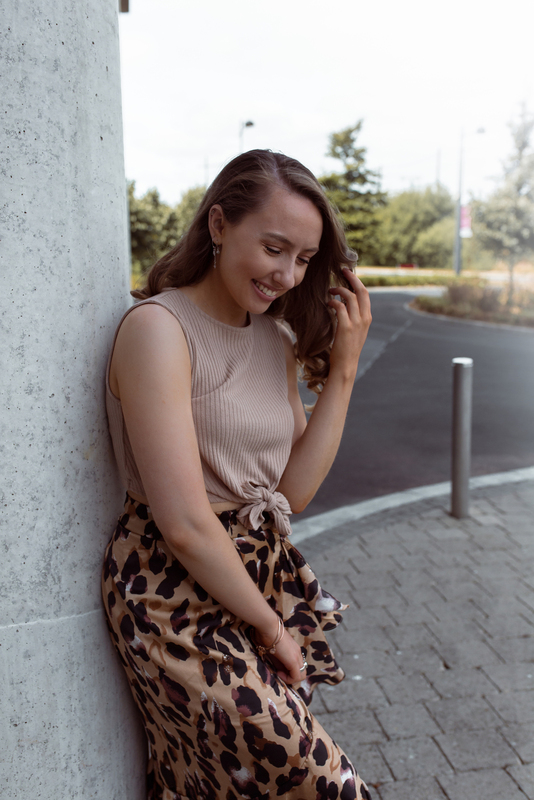 This neutral toned look is super easy to dress up or down as we head into Autumn. Both pieces are from an online brand called Ontrend; which is a fresh fashion forward brand that wants to dress the nation in style, good quality clothing for reasonable prices. I have to say, I really do love this look. I feel both pieces are very simple but add a touch of chic to my wardrobe; Something I feel is necessary when moving up to the big smoke. I’d recommend staying through to your size for the pants as they are quite a snug fit, I’d usually be between an 8/10 and went for an 8! I went for a small in the top but would consider a medium if I was to repurchase again. I’ve left links to both pieces below which are available now.